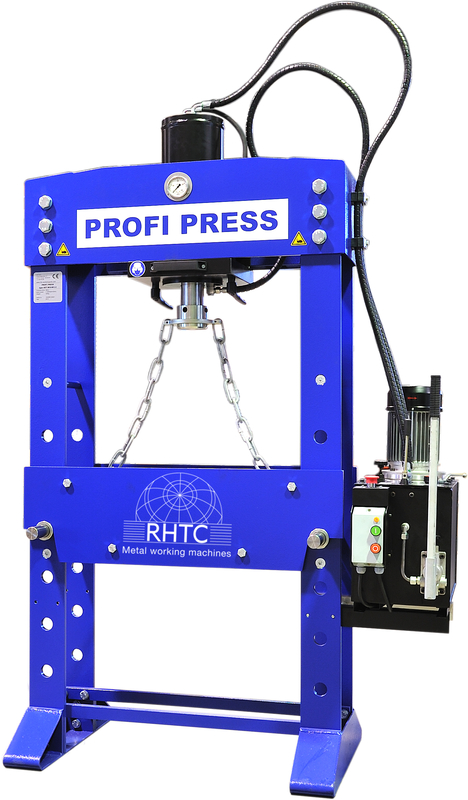 The motorized hydraulic workshop presses from Profi Press are extremely robust and exclusively made in the Netherlands. The casing is very stable and the hydraulic system is extremely precise, whether operated electrically or manually. The height of the heavy work table can be adjusted easily and effortlessly. 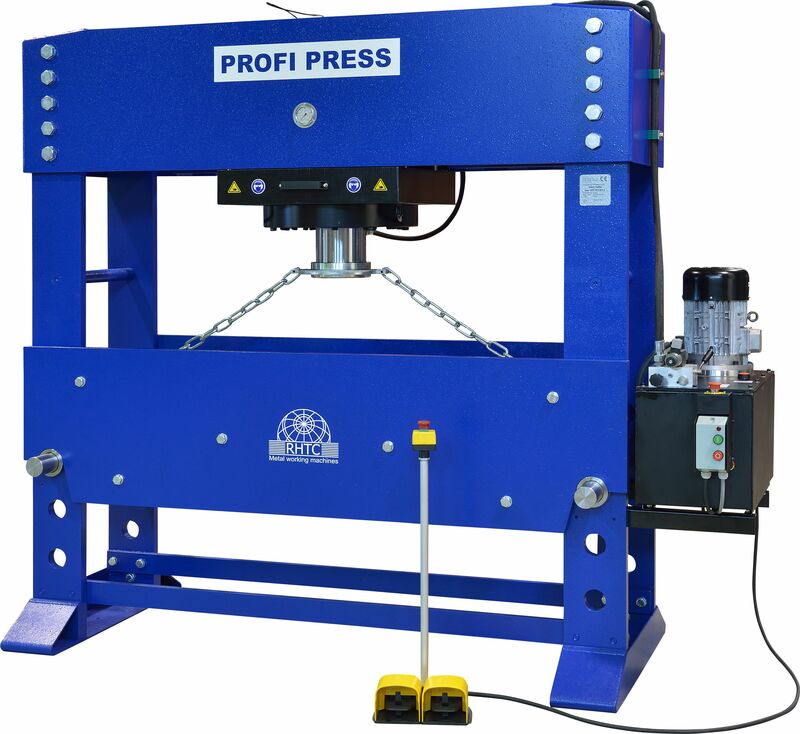 The Profi Press is manufactured using advanced CNC machines. All Profi Press models comply with the strictest regulatory requirements, meeting the European CE standards. 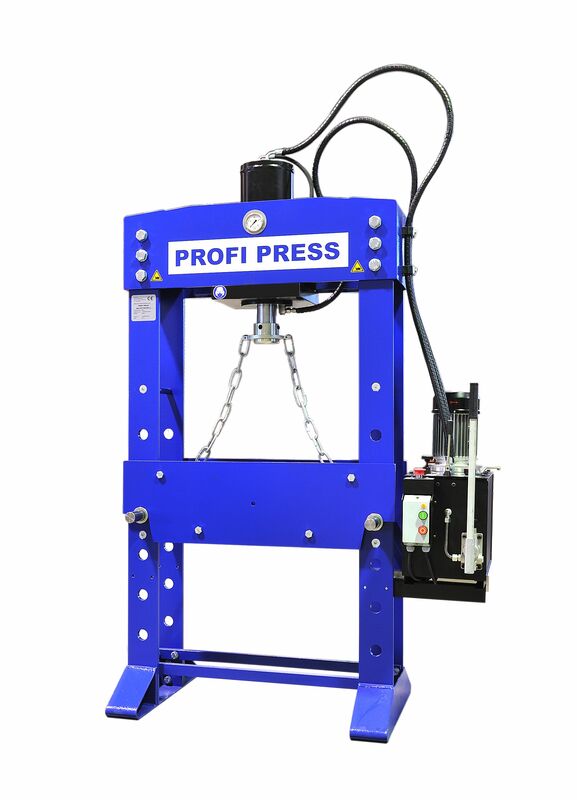 Each Profi Press workshop press is delivered straight from our stock with a comprehensive manual, supporting our end users in use and maintenance of our products. 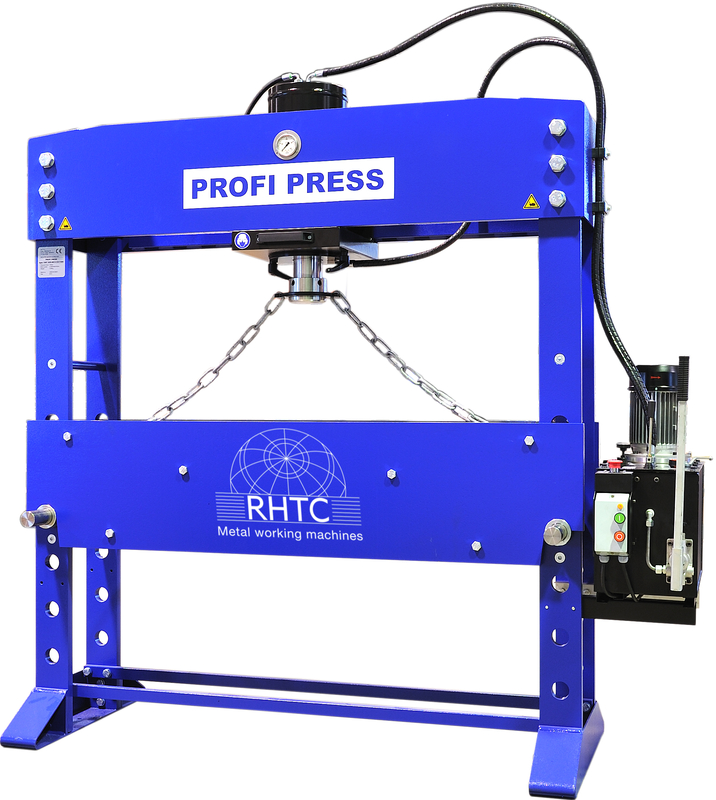 These motorized hydraulic workshop presses are eminently suitable for specialist machining work such as straightening and also pressing in and out (e.g. bearings). 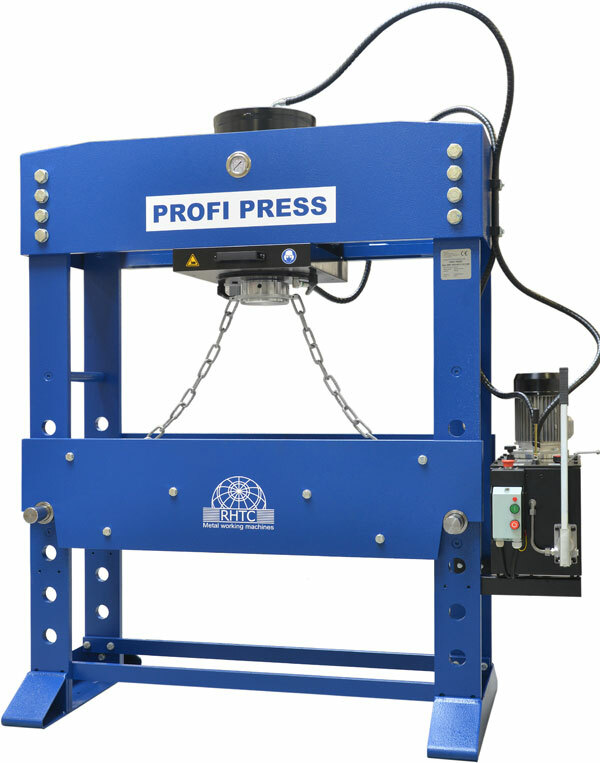 That’s why a Profi Press is a must for engineering workshops, repair firms and technical training institutions. 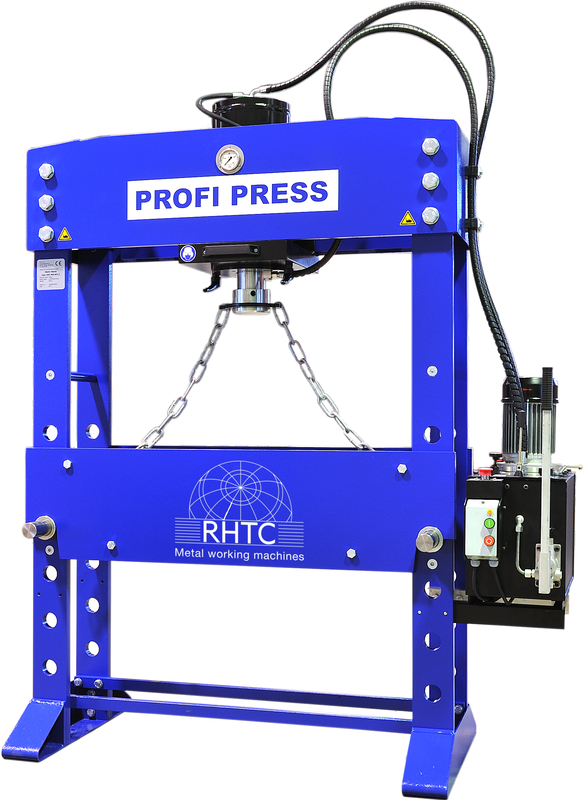 Our Profi Press assortment contains several different hydraulic workshop presses, available in tonnages up to 300 ton. Please click further to find out more about the features, technical specifications, dimensions and download the leaflet for each model.